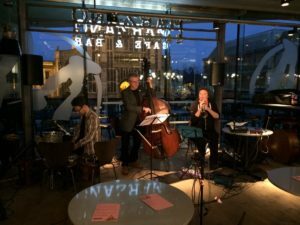 This entry was posted in concert, Jazz, Music and tagged chris dowding, Dave Ross, double bass, hymn, live music, Norwich, percussion, plink plonk, trumpet on March 29, 2017 by George. 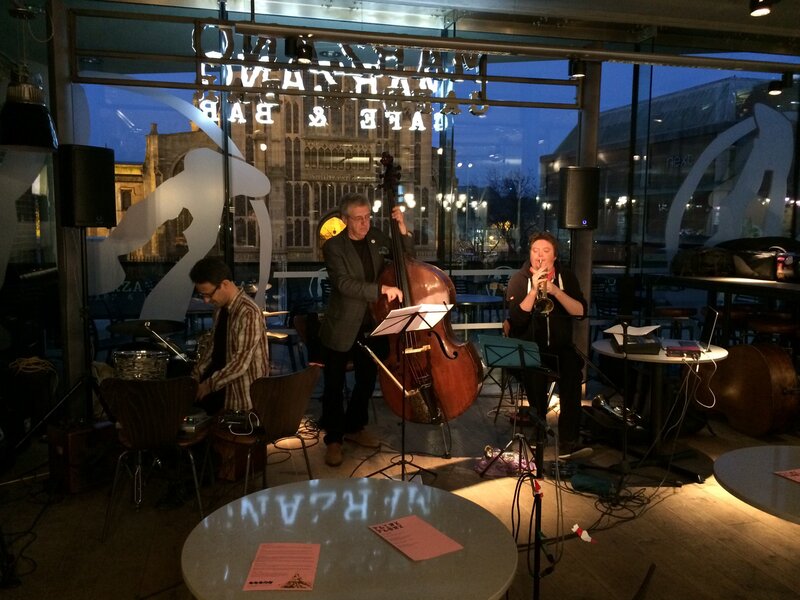 Here is a video taken by Richard Shashamané of one of the Norwich bands I’m now in, Joey Herzfeld Trio, from a gig earlier this month. The song, ‘Play with fire’, is one of Joey’s (voice & accordion), and the third band member is Chris Dowding (trumpet). Thank you, Richard (whose YouTube channel you can find here, by the way). 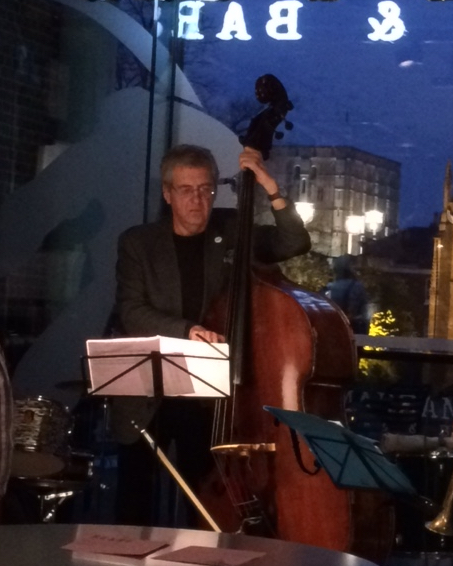 This entry was posted in Music and tagged chris dowding, double bass, joey herzfeld, live music, Norwich music scene, Richard Shashamane on January 19, 2017 by George.